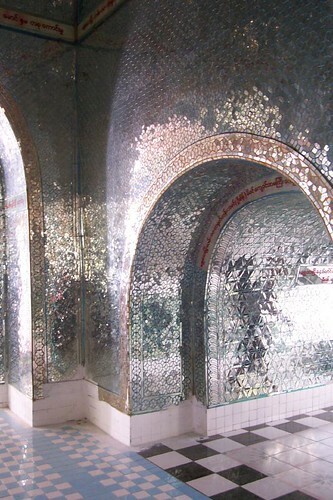 Mosaic naga, Shwedagon Pagoda, Yangon, originally uploaded by rheanna2. If you wish to donate to Australian community organisations with Cyclone Nargis appeals, click here. Mandalay, Myanmar (Burma), originally uploaded by Syeefa Jay. It is such a shame that the current regime of Myanmar is the way it is. I would happily play tourist in a place like this. Temple mural, originally uploaded by aspider8me. 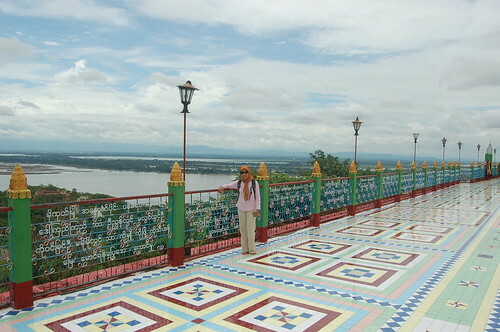 Sagaing, originally uploaded by (migirl). 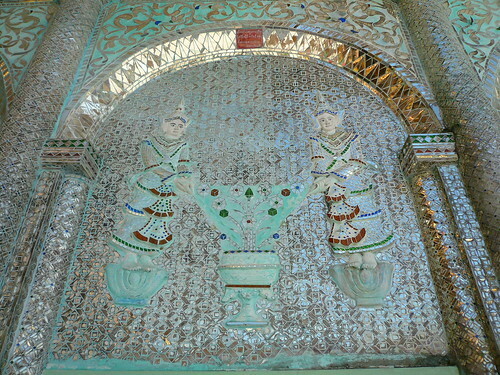 Burma is known for its mirror glass mosaic work. 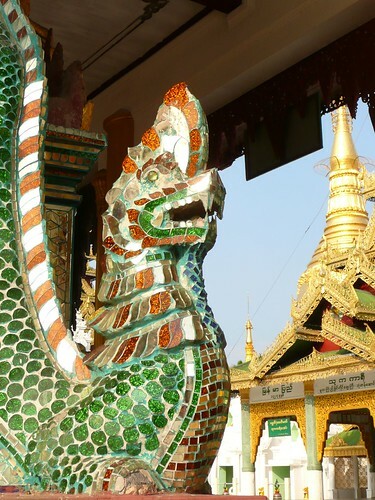 Intercultural exchange at Shwedagon pagoda, originally uploaded by Christiane Sch.. 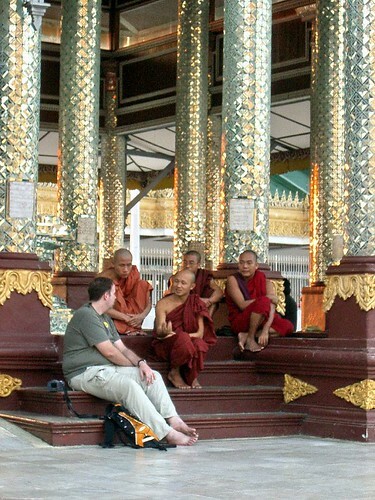 I like this photo because of the way the monks are talking to the tourist but look at those mosaic pillars. This is the Shwedagon pagoda.